With The Fashion World of Jean Paul Gaultier: From the Sidewalk to the Catwalk set to open this weekend, fashion is definitely in the air at the DMA. One of the major influences you’ll find in the exhibition and in Gaultier’s work overall is the corset. From Marie Antoinette to Madonna, for better or worse, corsets have continued to remain a big part of the female fashion arsenal. However, there is one lady in the DMA’s collection who seems to disagree with me: Sarah Sherburne Langdon. 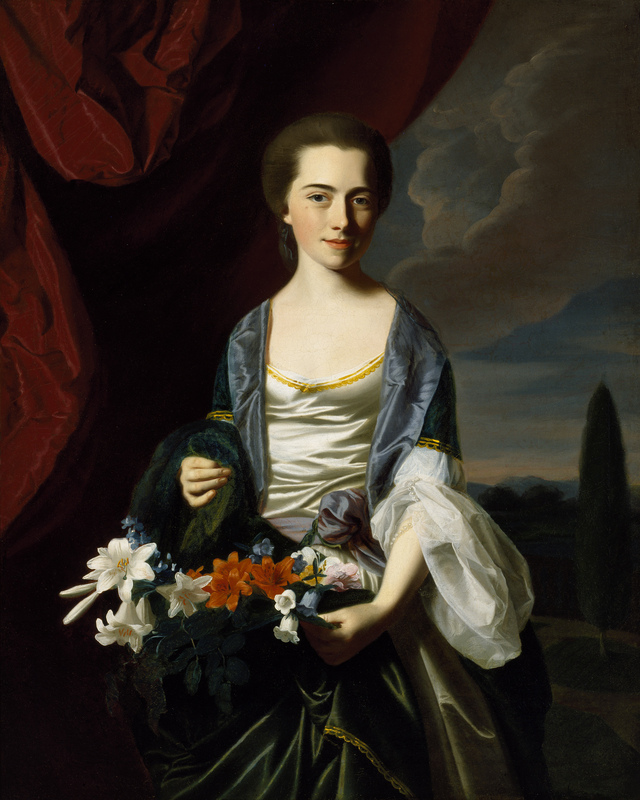 Sarah Sherburne Langdon, John Singleton Copley, 1767. Dallas Museum of Art, The Eugene and Margaret McDermott Art Fund, Inc. In this portrait, painted in 1767, Sarah wears a loose-fitting gown without the requisite corset beneath. At that time in London, a new style was becoming all the rage partly because, just a few years before, the letters of Lady Mary Wortley Montagu were first published. Lady Montagu wrote to friends in England during her travels to Turkey after her husband had been appointed ambassador in 1716. In her letters, Lady Montagu described the odd oriental customs of the Turks, including their different styles of clothing. Upon her death, copies of the letters were widely circulated in England and the Colonies, and a craze for all things Turkish ensued. Lady Mary Wortley Montagu. 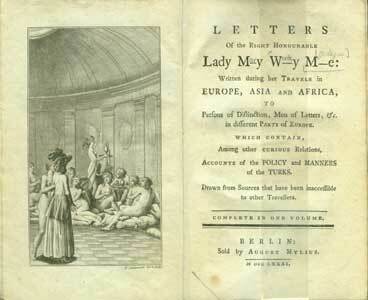 Letters Of the Right Honourable Lady M-y W-y M-e: Written, during her Travels in Europe, Asia and Africa, To Persons of Distinction, Men of Letters, &c. in different Parts of Europe. Berlin: Sold by August Mylius, 1781. UCLA Charles E. Young Library Department of Special Collections. In the centuries since Lady Montagu’s letters and Sarah Sherburne Langdon’s portrait, corsets have been similarly vilified as a symbol of female oppression and embraced as a symbol of sexual empowerment. If you’d like to hear more of the corset’s story, join us on Thursday for the exhibition lecture Jean Paul Gaultier: Iconoclasm and Influence. Dr. Caroline Weber will trace the influence of the corset and other elements in Gaultier’s designs. If only Mrs. Langdon could be here to see where fashion has taken us now.